Want to help in 2019? 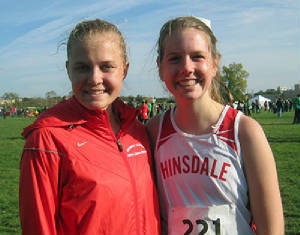 The Hinsdale Central girls cross country SmugMug site has photos all the way back to 2005! PEORIA -- Moments before her race at the Class 3A girls cross country state meet Saturday Nov. 3 in Peoria, Hinsdale Central junior McKenna Revord received quite a boost. 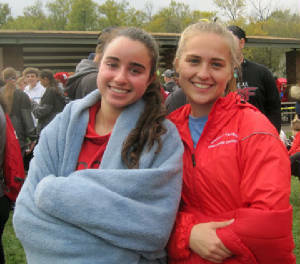 Her sister Reilly, a 2018 graduate and former all-stater, made an unannounced visit from the University of Missouri to watch McKenna and the Red Devils compete for the first time this season. Revord did just that. 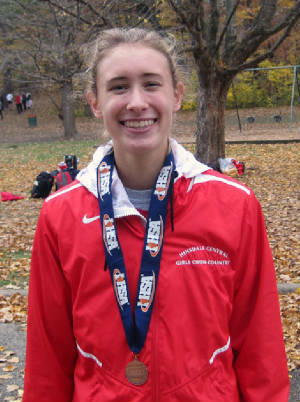 She finished an all-state 14th to lead the Red Devils at Peoria’s Detweiller Park. Revord (16:49.66 for 3.0 miles) achieved the program’s No. 4 fastest state performance to easily earn top-25, all-state honors for the second straight year. 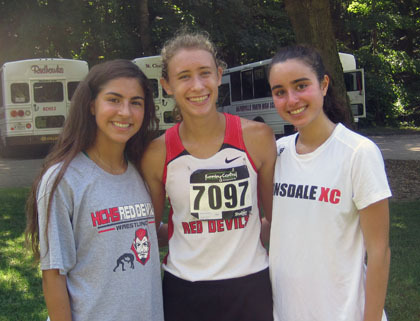 Senior Kayla Byrne was 72nd (17:56.99), followed by seniors Melanie Chafin (117th, 18:18.51), Bella Pisani (153rd, 18:38.03) and Caitlin Chval (163rd, 18:44.46), junior Taylor Wagner (165th, 18:45.54) and sophomore Diana Denemark (180th, 19:00.90). 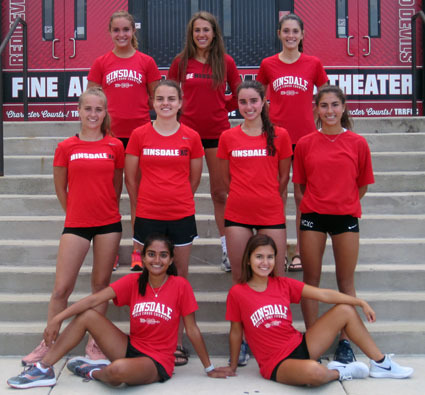 Hinsdale Central (415 points) was 17th – just nine points from 15th – and won out on a sixth-runner tiebreaker with O’Fallon (415). 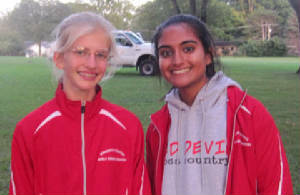 The Red Devils made their seventh straight state team appearance and 18th in the past 19 seasons. Revord, Byrne and Chafin were named the team’s Athletes of the Meet. “They certainly enjoyed seeing (Reilly). 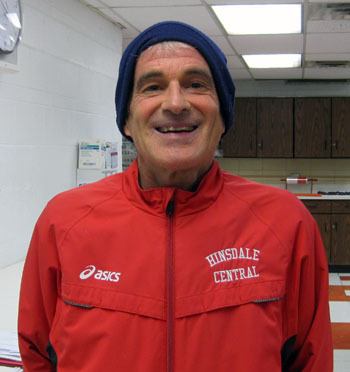 It was a nice surprise,” Hinsdale Central coach Mark McCabe said. 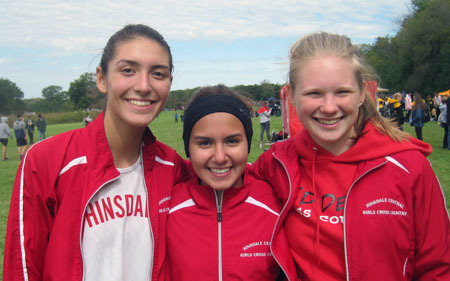 This was the third state cross country meet for Revord, Byrne and Pisani and the second for Chafin and Chval. Revord was 24th in 2017 (17:23) after being 85th as a freshman (18:11). 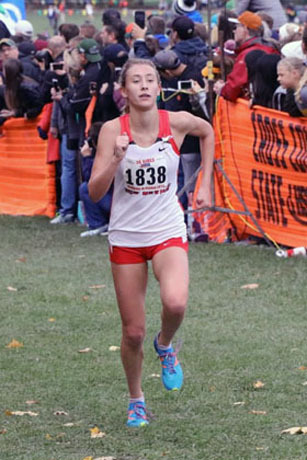 She becomes the sixth multiple all-stater in Hinsdale Central history to add to three all-conference (top 16) and all-sectional (top 10) finishes and two all-regional finishes (top 5). 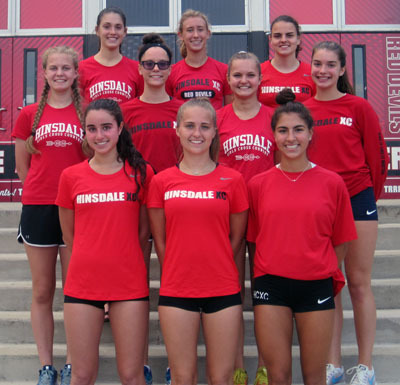 The only Hinsdale Central runners to achieve all-state more than twice are Jill Hardies four times (2009-12) and Elaine Kuckertz (2006-08) three times. “It’s really exciting. I’m just so pleased that I’ve been able to work so hard over this past year and been able to improve by so much. This is just everything that I could hope for,” Revord said. 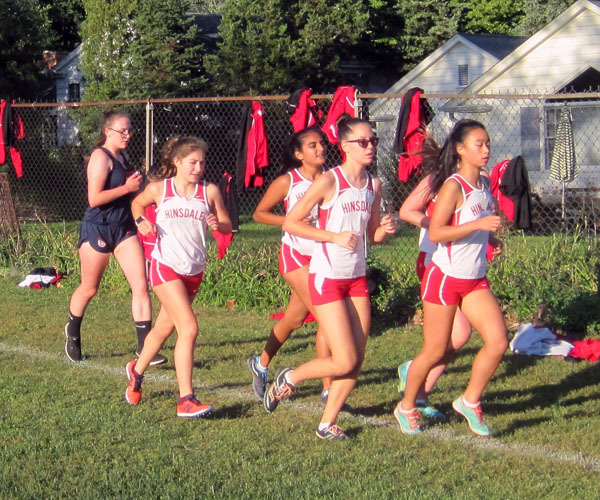 Byrne ended on a high note by breaking 18:00 for the first time. Chafin also finished with “her best race ever,” McCabe said. 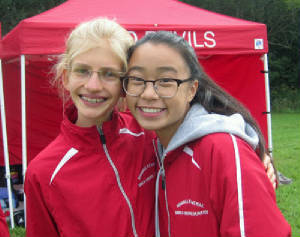 Chval enjoyed her best season as a senior and significantly improved her race consistency. 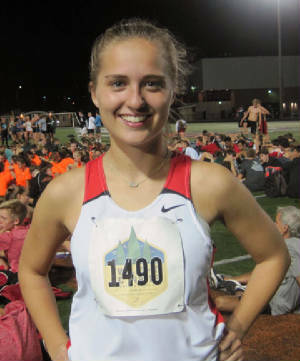 Pisani was coming off her best track season but was just fortunate to compete again at state as she battled a foot injury that resulted in her sitting out sectionals to aid her recovery. The seniors set the tone for other underclassmen who enjoyed breakthroughs. Wagner competed at state for the first time after being stopped by injury and illness the past two seasons. 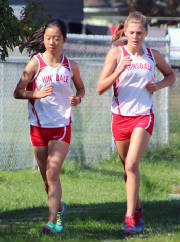 This also was the first cross country season for Denemark, who had a solid debut as a freshman sprinter in track. Junior Lucy Fischer, a 2017 state competitor, ran in place of Pisani at sectionals. Naperville North (80) and Yorkville (87) finished 1-2 just like in 2017 with Downers Grove South (127) third for its first team trophy in the sport. All six West Suburban Conference Silver Division programs that field seven-runner lineups qualified the 25-team state field. 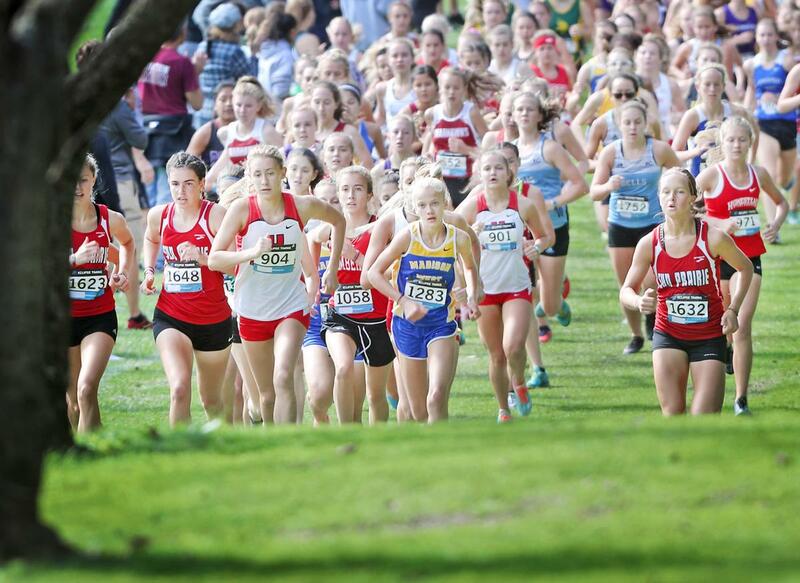 Lyons Township was fourth (191), followed by Oak Park-River Forest in 10th (318), Glenbard West in 13th (365), York in 16th (413) and Downers Grove North in 23rd (501). 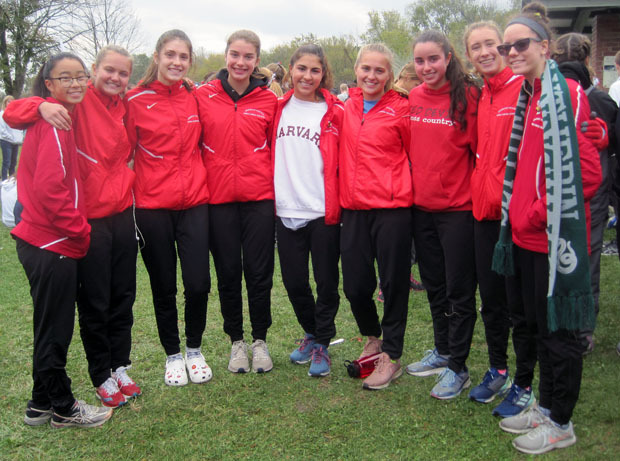 The Red Devils were coming off arguably their best team race at the Marist Sectional Oct. 27 for third place behind Downers South and LT. Tenth at 2017 state (269), they finished among the top 15 in their previous six state appearances. 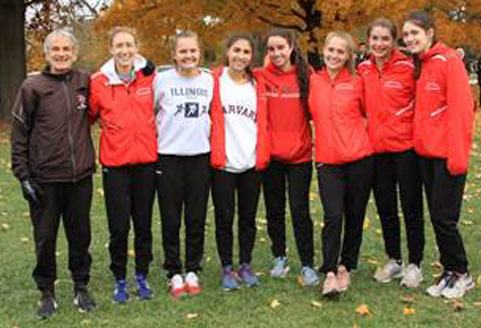 The strength of Illinois girls cross country was displayed further at the Nike Cross Nationals Midwest Regional Nov. 11 in Terre Haute, Ind. 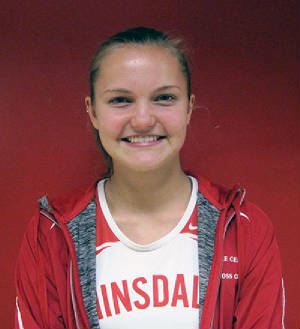 Revord finished 23rd (18:18.2 for 5,000 meters/3.1 miles) – a personal record by 11 seconds -- as one of 12 top-15 individual finishers from Illinois in the five-state field with Indiana, Iowa, Ohio and Michigan. 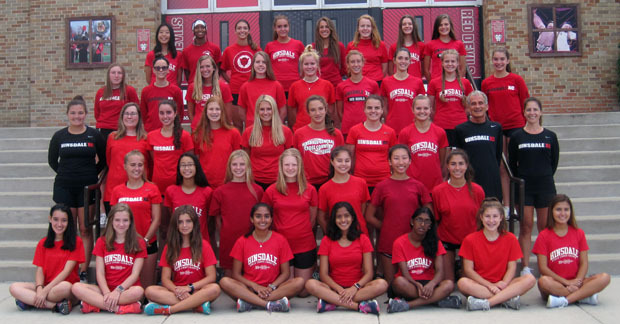 Teams comprised of runners from Naperville North, Yorkville and Downers South swept the top three team spots. 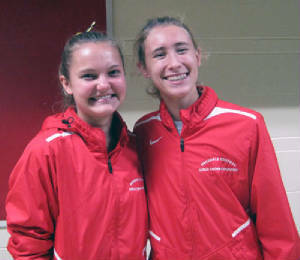 Past and present teammates have contributed to Revord’s success. 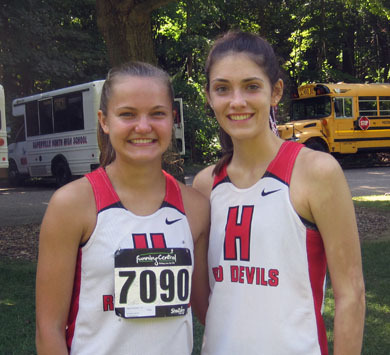 Reilly Revord was an all-state sixth in 2015 and fellow 2018 graduate Grace McCabe, now competing at the University of Iowa, was an all-state 23rd last season and 20th in 2014. 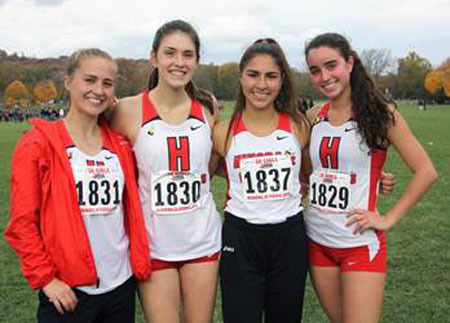 At the girls track and field state meet in May, McKenna Revord ran in the preliminaries of the 3,200-meter relay before the Red Devils won the state championship race with Reilly Revord, Grace McCabe, Byrne and Pisani. 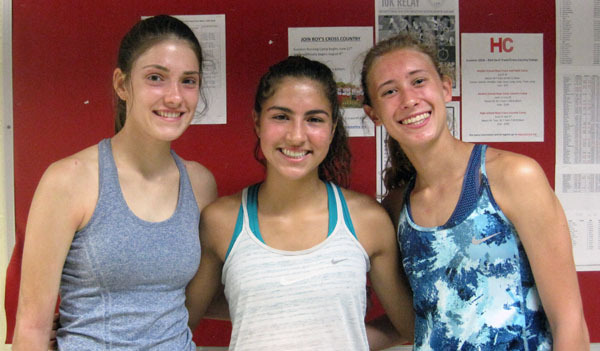 The 2016 relay with Reilly Revord, McCabe and Byrne also achieved a state championship. 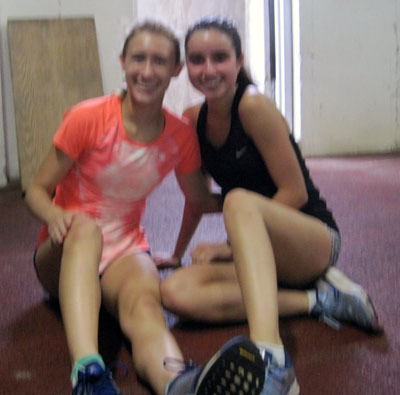 “Definitely seeing (Reilly and Grace) race so well and just seeing their composure going into race in years past, I tried to emulate them and tried to stay mentally positive going into races like they always are,” McKenna Revord said. 18th trip in 19 seasons! 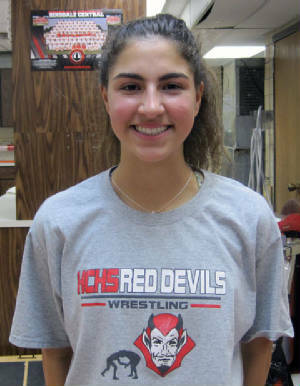 As one of only three state-ranked teams in the sectional, the Red Devils are favored to advance to the Class 3A state meet as a team for the seventh straight season and 18th time over the past 19 years. 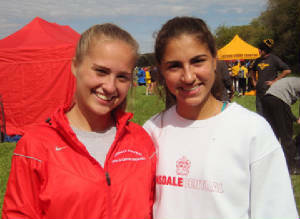 At the Hinsdale Central Regional Oct. 20, Downers Grove South (36) and Lyons Township (38) finished first and second ahead of the Red Devils (86) and should battle for the sectional title after finishing fifth and third, respectively, at 2017 state just 10 points apart. 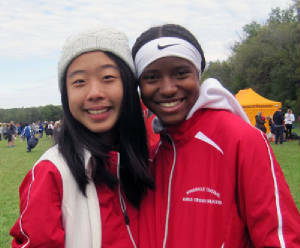 LT and Downers South also won their respective West Suburban Silver and Gold championships Oct. 13. The Lions’ title was their first since 1992. 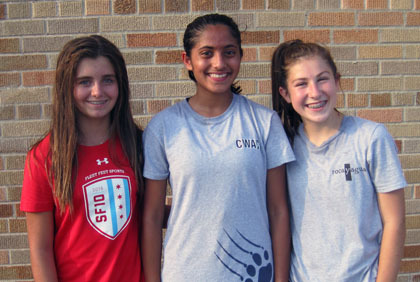 Downers Grove North, another Silver team, is favored to reach state as a team for the first time since 2014. 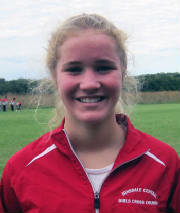 Hinsdale Central junior McKenna Revord was an all-regional fourth last Saturday on her Katherine Legge Memorial Park home course. 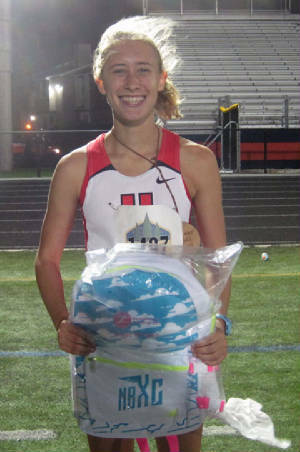 She’s among three returning top-25 all-state finishers from 2017 (24th) who should compete at Midlothian Meadows. 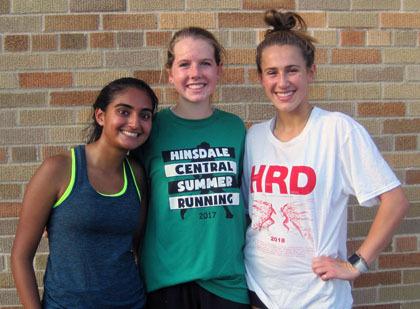 Hinsdale Central seniors Kayla Byrne, Bella Pisani and Melanie Chafin and junior Lucy Fischer also ran at state last year and senior Caitlin Chval competed at sectionals instead of Chafin. 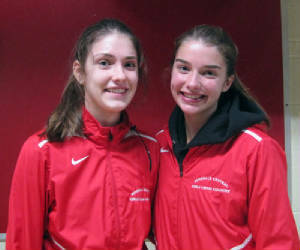 Saturday would be the fourth sectional race for Chval and third for Revord, Byrne and Pisani. 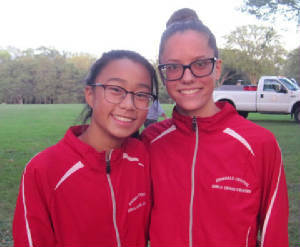 At 2017 state, Argo junior Abigail Lopez and Downers South junior Brenna Cohoon were an all-state sixth and 19th, respectively. 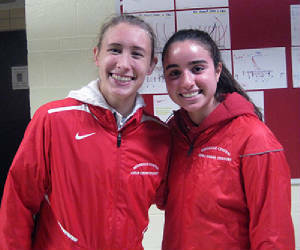 At regionals Oct. 20, Cohoon used a late kick to finish four seconds ahead of Lopez. Also back from the top 60 at 2017 state are LT seniors Marta Kogucki (29th) and Emily Henkel (32nd) and sophomore Kate Dickman (38th) and Downers South senior Melissa Weidner (52nd) and junior Kennedy Warden (55th). LT senior Sarah Barcelona was all-state in 2016 (11th) and 2015 (18th) but injured last season. 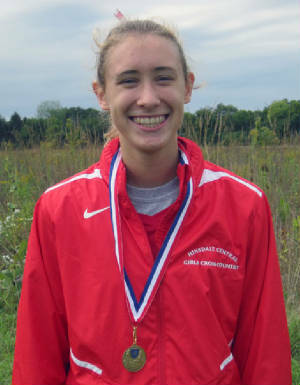 Henkel also was all-state in 2016 (16th). 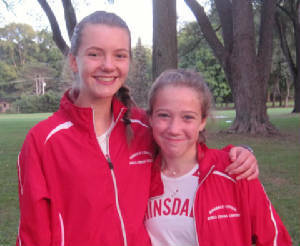 Top 6 teams and top 5 individuals not among advancing teams qualify for Marist Sectional Saturday, Oct. 27. All teams that tie for 6th advance to sectionals.